1. 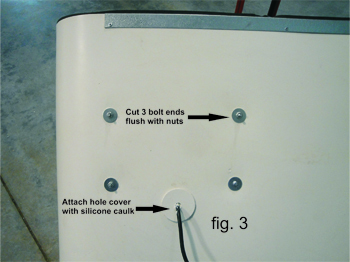 Drill two 1/16" holes through the wall support and heat shield and attach as shown in Fig. 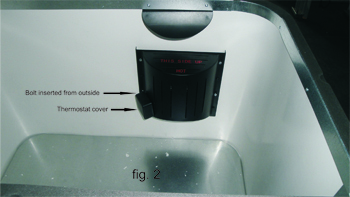 1 using two enclosed self-tapping screws. 4. Connect to a GFI circuit only. 5. 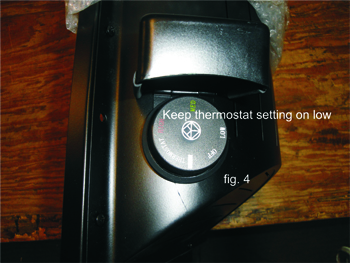 Refer to the manufacturer's instructions for heater operation. Low setting is best for use in Dog Den models. 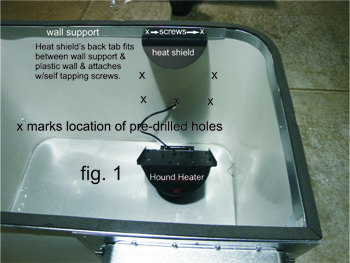 The Hound Heater Pet House Furnace is powered by a special 150-watt heating element. Set thermostat on low setting only for use in Dog Den models.